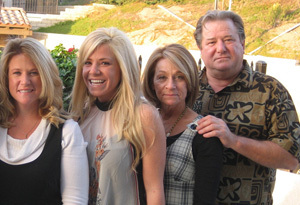 The owners of Preferred Care at Home of Thousand Oaks are (pictured left to right) Jodi Blevens, Sheri Schledorn, Georgia and Robin Schledorn. We have lived in the Conejo Valley for 30 years and look forward to helping seniors that need assistance so they can remain in their homes if they choose. “Robin was wonderful. My needs for help for my mom came up suddenly and I was able to reach Robin at home on a Sunday and he had a wonderful person in place Monday morning! Wonderful service.” -Sue R.